Barrier Group has produced over 20 distinct bollard styles, that solve a variety of security and safety needs, which has led us to become one of the leading bollard suppliers and installers in Australia. First opening as a single-product business in 1999 with our unique Cam-Lok Removable Bollard, designed and developed by our managing director, Rick Hall, this security bollard exists to provide businesses with protection against attempted ram raid smash-n-grab robberies. This bollard had a very targeted purpose and to put it simply, not all bollards are created equal, which was the driving force behind expanding to the range of bollard options we now provide. What we already knew and experienced very quickly, is that one bollard does not satisfy every requirement. Once we started to generate more bollard enquiries we were able to gain a better understanding of what our customers needed their bollards to do for them. To this day, our aim is to provide suitable bollard solutions that appeal to any budget, setting and environment with a focus on delivering a superior quality product from a brand that you can trust. Help prevent ram-raid robberies from shop fronts and roller door entries. Rebound and absorb impacts from forklifts in workplace environments. Protect assets and building structures from vehicle impact damage. Prevent wayward vehicles colliding with pedestrians on public footpaths. Contribute to aesthetic appeal by complementing architectural design. Provide access control by denying or allowing temporary entrance or parking. We value our customers and back every bollard we sell, so naturally, we provide an Australia-wide installation service. Over the years we have completed a colossal number of small and large bollard sales and installations to local and interstate locations. With our team of certified and compliant technicians, we can install bollards in Melbourne, Sydney, Brisbane, Darwin, Perth, Canberra and Hobart (T&C's apply). We guarantee our installations and recommend this option because if there is an issue of any kind we are on hand to trouble-shoot the problem to find a solution. (3rd party installers cannot guarantee this). Bollard design, construction and appearance is taken into consideration when choosing a suitable model that can appeal to an industrial, commercial, city or urban setting. Round and square bollards recommended for factories and warehouses are manufactured from industrial strength materials and galvanised to guarantee consistent appearance and protection against long-term weather exposure. 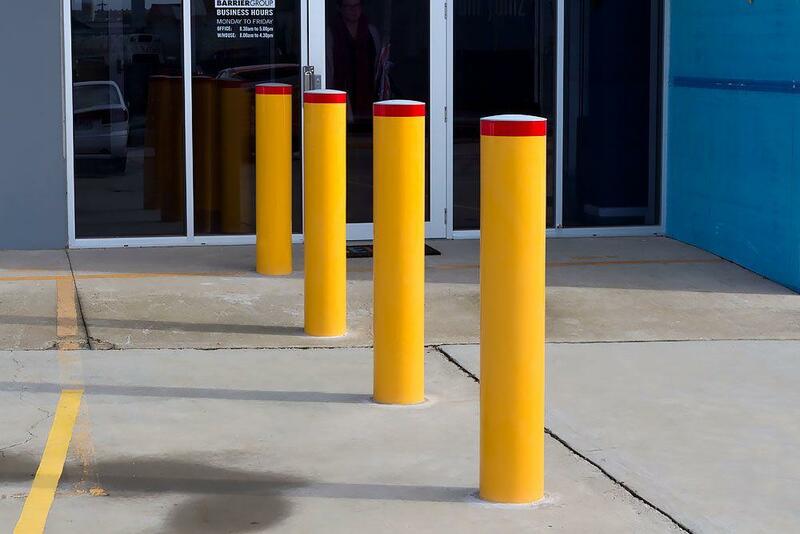 These bollards are generally finished in a safety yellow powder coating to provide maximum visibility in workplaces that often have high vehicle, forklift and truck traffic. Round stainless steel bollards appeal to the inner city centres by seamlessly becoming part of the architectural settings. Commercial and food processing areas benefit from the consistent, corrosion-free finish which is also suitable for seaside and coastal areas as they are resistant to damage from salt air. Architectural designer bollards have been created to complement street furniture and landscapes in city and urban environments. Permanent, fixed bollards are not always a suitable solution, so we have developed a range of specialty bollards that feature fold down, retractable, removable and rebounding functions designed to benefit a range of industries. ​Our customers can come from a very wide range of markets including industrial, commercial, government, institutional and private settings. In fact, we like to think there is not a business in this country that would not have a use for at least one of our bollards. While our origins may be in manufacturing and continue to be today, over time we have developed considerable strengths in local and international sourcing, and product development from conceptual design, through to market ready and beyond. 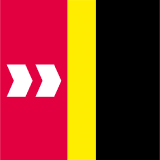 Not only do our bollards appeal to a wider customer base, our entire range of safety products has grown over the years to include a number of speed humps, barriers, wheel stops, industrial gates and so much more. Like everything in life, there is always an easier, safer or more efficient way to do things. We continue to develop our range and revisit the design structures which ensures that our products are current to today's safety procedures and standards in the workplace.